YOU CAN QUALIFY TO SAVE! 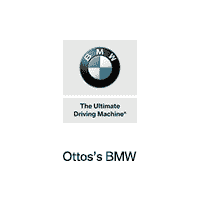 At Otto's BMW, there are numerous ways for you to qualify for extra savings on the purchase of a new BMW or a Certified BMW! We want to make you aware of all the possible incentives available, so that when you are ready to purchase your next Ultimate Driving Machine, you can experience the maximum savings. Some incentives will be general incentives, which apply for every customer, such as a Lease Credit or a Purchasing Credit. Other incentives are for specific customer groups, such as our College Graduate Program or our BMW Loyalty Credit. Our New Vehicle Specials page will list any general incentives available for listed vehicles, but take note, there will also be mention if the vehicle qualifies for more specific incentive dollars. Please reach out to our Client Advisors or call our dealership to learn more if you qualify for additional savings on the BMW of interest!